One Mistake by Apple now becomes a trend in Smartphone Industry. Most of the flagship smartphones in 2018 will have a notch. We have already seen a few Android OEMs embracing the notch and upcoming smartphones like the OnePlus 6, LG G7 ThinQ will also sport it. Xiaomi was expected it to launch the Mi MIX 2s with a notch but, the company stuck to its original MIX design and avoided a lot of backlashes. However, it looks like Xiaomi will give in to the industry trend with the launch of the Mi 7. 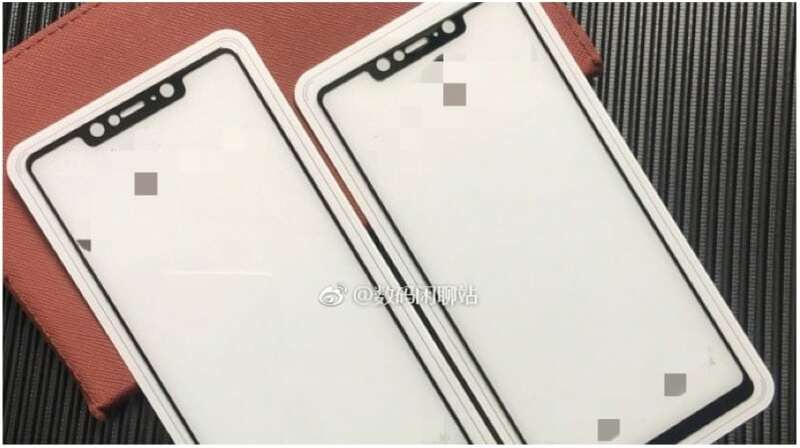 New images of the Mi 7’s tempered glass reveal that it will have a notch as well. The images do look real are taken from different angles. Unlike a lot of leaked images, these are high-res images giving us a clear view of what the display of the Mi 7 might look like. It is clearly visible that the glass has a cutout for a fairly large notch. It is worth noting that this notch is bigger than the ones found on the Huawei P20 Pro, Asus Zenfone 5Z or even the upcoming OnePlus 6. In fact, it resembles the iPhone X in terms of the size of the notch. The reason behind a bigger notch compared to other Android devices could be facial recognition. For weeks it has been rumored that the Xiaomi Mi 7 will have an iPhone X like facial recognition system. This means that its Face Unlock feature won’t rely on just software and have the hardware for a much secure facial recognition system. Hence, there are quite a few cutouts in the notch as well. These cutouts could be for the depth-sensing cameras, similar to the iPhone X. So, That is all about we found today about Xiaomi Mi7 I hope you guys like our work please share this with your friends who are looking forward to this smartphone. Chromecast 3 vs Amazon Fire Stick | Which is the Best Option in India?